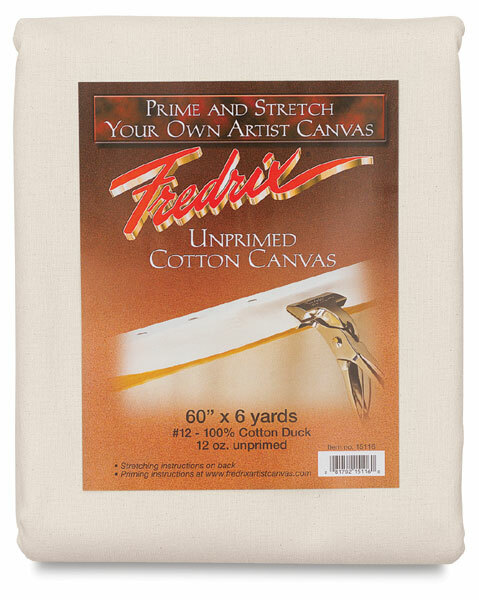 Stretch and prime your own canvas without the hassle of transporting a large roll! Classic Fredrix raw, unprimed 12 oz cotton is now available in convenient and affordable folded blankets. Iron the folds before stretching, or mist the canvas with warm water after you've stretched it tightly to remove any wrinkles. Available in 6 yard blankets in a variety of widths.